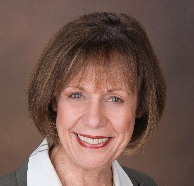 Esther Fine brings over twenty-five years experience and unwavering commitment selling homes along Orange County's coastline. Specializing in residential re-sales throughout Newport Beach, Newport Coast, Corona del Mar and Costa Mesa, . A Newport Beach resident since 1960, Esther has seen many changes unfold within the immediate coastal area, and understand the nature of the local luxury market. In each transaction, she combines the ease of a bona fide real estate veteran with the eagerness of a passionate professional who is determined to continually incorporate new industry technologies into my business. Esther's achievements in residential re-sales have earned her recognition as a top producer throughout the years, and her hard work, wisdom, and attentive, detail-oriented service has earned her a loyal base of clients who rely on her as a trusted advisor and friend. Thank you, Katherine. It was my pleasure to work with you. Esther represented us on the successful sale of one property and purchase of another. She is professional, diligent, and very knowledgeable of the market. Thank you, Sam. I'm so glad I could help. Esther is the best real estate agent I have ever had the pleasure of working with.